Mr. Berman is a partner in the Commercial Litigation, Cooperative and Condominium Law and Employment and Labor Law Practice Groups at Ganfer & Shore. 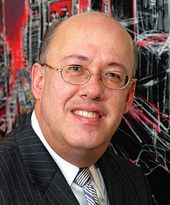 He has extensive experience in representing private and public companies, as well as partnerships and individuals, as plaintiffs and defendants, in court and in arbitral forums, in complex commercial matters, with an emphasis on real estate and securities disputes, electronic discovery conflicts, and complex title insurance issues. He is a seasoned appellate attorney, having argued many cases before both the First and Second Departments. Mr. Berman is also a trained mediator. Prior to joining Ganfer & Shore, he was an associate in the litigation department at Skadden, Arps, Slate, Meagher & Flom LLP and clerked for United States Magistrate Judge Michael L. Orenstein for the Eastern District of New York. Mr. Berman has written and lectured extensively on electronic discovery issues before the American Bar Association, the New York State Bar Association and the New York State Judicial Institute. He has been appointed by the Chief Administrative Judge as a member of New York State E-Discovery Working Group advising the New York State Unified Court System. Since 2005, Mr. Berman has authored a column in The New York Law Journal addressing electronic discovery under New York State law. Mr. Berman’s articles have been quoted in both appellate and trial court decisions. Mr. Berman is rated “AV” by Martindale-Hubbell, the highest level in professional excellence and ethics, and has been selected as a “New York Super Lawyer” annually since 2008. Mr. Berman has lectured on electronic discovery issues at Brooklyn Law School and Benjamin N. Cardozo School of Law.